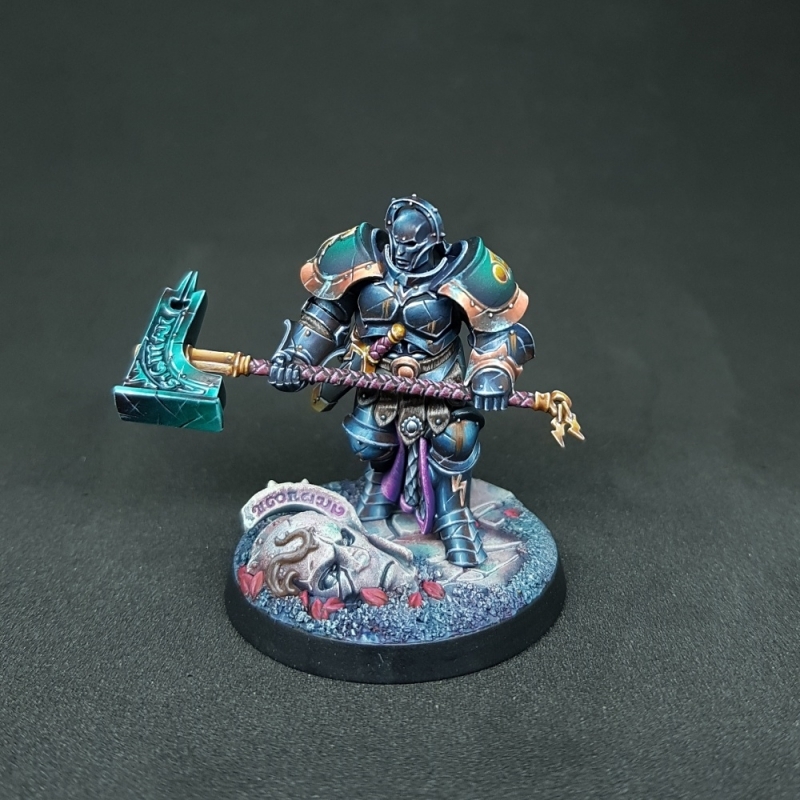 It's always cool to see a Stormcast painted in colors you don't normally expect. Oberyn here is painted in an almost monochrome scheme, with the blue armor, green accents, purple cloth, and mystical hammer. Even the base has a lot of blue on it. It makes for a very striking scheme that's only broken up by the gold of the trim. The overall cool feel to the colors is balanced with the warmer rust on gold designs on the shoulders though. 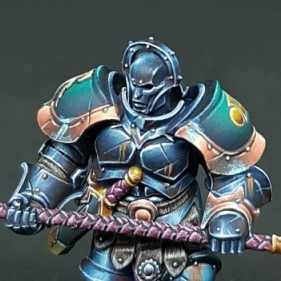 This helps the model avoid the muddy look you could potentially get with a scheme that uses such similar color. Everything is crisp and smooth on it as well. The armor has a nice polished look to it with its reflections, which is in stark contrast to the battle damage and rust that overlays it. It really helps make the model visually interesting. David has done a great job with the textures as well. All of the cloth and leather looks different then the smooth armor. Overall this is a really strong model using a very limited color palette.